In some ways I was a bit nervous going into this. The much anticipated swansong for arguably one of the finest animation directors in the world. 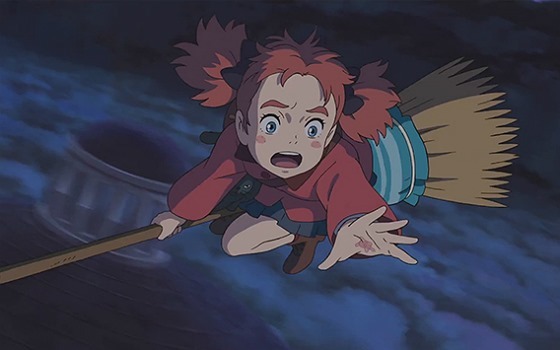 Hayao Miyazaki chose this very personal and understated story as his final feature for the famed Japanese animation house ‘Studio Ghibli’ following an illustrious career that spawned such classics as Spirited Away, My Neighbour Totoro and Howls Moving Castle. However this is not the fantastical world we may have become used to but more a thought provoking biopic of a famed aircraft designer. I’d say Miyazaki has always had an interest with aircraft and flight, and this is certainly his love letter. Jiro Horikoshi (voiced in the very good English dub by Joseph Gordon-Levitt) since he was a child has had a fasciation with air travel and the designing of planes. He often slips into fantastical dream sequences where he meets and talks to famed Italian Aviation pioneer Giovanni Battista Caproni. 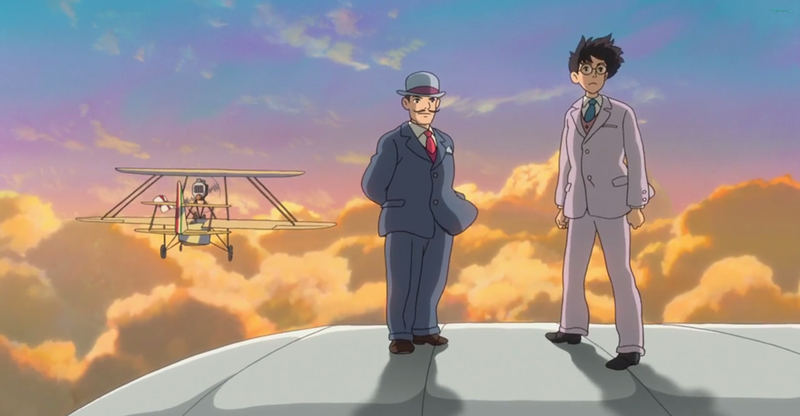 As time passes Jiro studies aeronautical engineering, and soon begins working for a plane building firm. However with the advent of World War II, his designs become increasingly involved in the Japanese Army’s invasions plans, and Jiro finds himself questioning his conscience. With a similarity to the Martin Scorsese / Leonardo DiCaprio vehicle The Aviator, and boasting several quirky characters, (Jiro’s boss is classic Ghibli), I did find this interesting even if all the plane building and Jiro’s enthusiasm went over my head. More absorbing was his gentle love story with Nahoko (Emily Blunt) who develops Tuberculosis. Yet this storyline also brought into question some of Jiro’s actions, with him having full knowledge that his planes would be involved in mass genocide but he seems to have more focus on building them than looking after his sick fiancé. Thankfully the art and animation on show distracts from such a morally dubious main character and should be heralded as one of the studio’s most beautiful works – a real treat for the eyes that shows there is plenty of life left in traditional hand drawn animated movies. Perhaps not as uplifting or as boundlessly-inventive as Miyazaki at his best, but with a good story and some great moments (the 1923 Tokyo earthquake is portrayed like the ground breathing and groaning…), this is still worth checking out.